(Satire alert: Please note that, as believable as the following story may be, it is not to the author’s knowledge, true — at least at this point anyway). In a follow up to its bold action last spring to ban scientists from predicting a significant sea-level rise along the North Carolina coast over the the course of the 21st Century, House and Senate leaders in the North Carolina General Assembly announced early this morning that they would take further action in the coming days to ban weather “forecasts” and news “reports” related to coastal weather events. Speaking at a hastily arranged press event in the offices of NC20, the pro-development group that spearheaded the anti-sea level rise bill, House Speaker Thom Tillis and Senate President Pro Tem Phil Berger both described the move as “the next logical step” in their ongoing plan to forestall the “scare tactics” of “climate and weather alarmists” who are causing North Carolinians “unnecessary worry” regarding the future of coastal communities and investments therein. 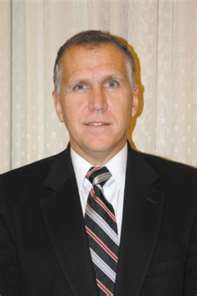 According to Tillis (pictured above), the news media coverage devoted in recent days to Hurricane Sandy (a moniker that the Speaker refused to use) was the spur to this recent action. Senator Berger (at left) said that he and Tillis would be calling lawmakers back to Raleigh next week after the November 6 election for a special legislative session to consider a bill called “The Truth in Coastal Reporting Act.” He said the measure was modeled on a new Florida law drafted by staffers at the American Legislative Exchange Council (ALEC) that forbids news media outlets in the Sunshine state (with the exception of those owned by Rupert Murdoch) from referring publicly to any “climactic event or alleged event” that would tend to cause any business or individual to have doubts about renting, purchasing or developing property in any county within 100 miles of the Atlantic Ocean. The two men said the special session would be scheduled for 2:30 a.m. next Wednesday morning November 7. When contacted to seek their opinion on the new proposal, both major gubernatorial candidates voiced general support. 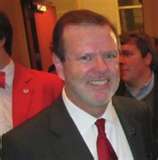 NC GOP led legislature is a parliament of whores and idiots. Rob, this is a joke, right? Believable as this story may be (and that alone says something), it is to my knowledge at this point, only a rather poor attempt at humor. I’m such a sucker. I was sure it was true. Must remove from FB and Twitter! Well you can leave it up with just a little :) sign…. Seriously in poor taste if a joke!! Would not put it past politicians to be more concerned about profits of a few over safety of many! Also what about the credability of policy watch! Well done, Rob. Sadly, it’s almost certainly a foreshadowing of things to come. I am wondering why this is not addressed as a First Amendment issue? Restricting what can be seen or reported is more than a little scary. I am beyond surprised that this could rise to the level of legislation and even more that it is supported by both major party candidates. Never been to this website before. If it’s a serious news and opinion site this is not a good joke.